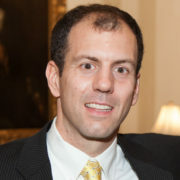 Chris joined the Ignatian Solidarity Network (ISN) as executive director in 2011. He has over fifteen years of experience in social justice advocacy and leadership in Catholic education and ministry. Prior to ISN, he served in multiple roles at John Carroll University, including coordinating international immersion experience and social justice education programming as an inaugural co-director of John Carroll’s Arrupe Scholars Program for Social Action. Before his time at John Carroll, he served as a teacher and administrator at the elementary and secondary levels in the Catholic Diocese of Cleveland. Chris speaks regularly at campuses and parishes about social justice education and advocacy, Jesuit mission, and a broad range of social justice issues. He currently serves on the board of directors for Christians for Peace in El Salvador (CRISPAZ). Chris earned a B.A. and M.A. from John Carroll University in University Heights, Ohio. He and his family reside in Shaker Heights, Ohio. Kim Miller joined the Ignatian Solidarity Network staff in August 2011. 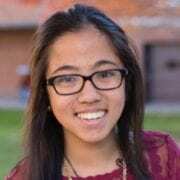 After graduating from Gonzaga University with her degree in Marketing and Broadcast Studies, Kim spent two years serving in the Jesuit Volunteer Corps. 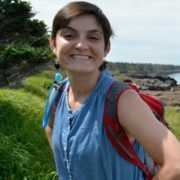 During her first year, Kim worked with teens with developmental disabilities and provided programming and marketing services for STRIVE in South Portland, Maine. In her second year, Kim served as the Outreach Coordinator for Jesuit Refugee Service/USA in Washington DC. While at JRS/USA, Kim became very familiar with the Jesuit networks and created interactive refugee awareness programs, spoke to groups nationwide, and equipped students and parishioners to take action on issues affecting forcibly displaced persons. Kim is daily inspired by the Ignatian Family members she meets, and she looks forward to continuing to empower students and parishioners to promote justice within their local and global communities. Kelly Swan joined the Ignatian Solidarity Network staff in 2016 and is a graduate of Wheeling Jesuit University. Kelly began her career in northern New Jersey with children experiencing homelessness and in family ministry for an Episcopal parish. She then returned to her childhood mountains of West Virginia and coordinated a religious education and service immersion trip program at a parish in Charleston, WV. 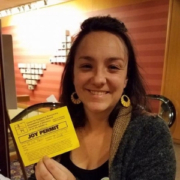 With her husband and young children, she then spent a year working and living in community at Nazareth Farm in Doddridge County, WV, and most recently spent six years in Wheeling, WV, engaged in projects related to holistic family life, community education, Appalachian advocacy, sustainable agriculture, and mothers’ spirituality. Kelly served as interim director of Wheeling Jesuit University’s Appalachian Institute in 2010, co-founded Black Swan Organics, a precursor to Grow Ohio Valley, a food justice non-profit in Wheeling, WV, served as interim director of the Children’s Museum of the Ohio Valley, and most recently worked as a writer and the production editor for INWheeling and Metroburgh Magazines in Wheeling and Pittsburgh. Kelly lives in the Cleveland area with her husband and four children. Lena Chapin joined the Ignatian Solidarity Network in 2016. She loves meeting new people, forming relationships, and sharing her passions for humanity, faith, and social justice. She grew up in the Appalachian foothills of Southern Ohio spending time exploring both her faith and the wilderness. After graduating from John Carroll University with Bachelors of Arts degrees in both English and Communications, she spent a year in Immokalee, Florida with the Humility of Mary Volunteer Service. There she built homes, tutored second graders and teenage girls, and worked at a shelter for people experiencing homelessness. She also joined the Coalition of Immokalee Workers in their fight for fair wages and farmworker rights. In 2013, she earned the title of Master of Science in Journalism and Public Relations from Ohio University in Athens where she developed a love of craft beer, historical research, and chili cheese fries. Most recently she served as the Director of Development for Rose-Mary, a Catholic Charities Diocese of Cleveland organization which provides housing and care for children and adults with developmental disabilities and behavioral support needs. Lena lives in Cleveland Heights with her dog, Tuna and her cat, Hamster. 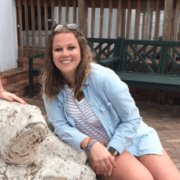 Brenna Davis joined the Ignatian Solidarity Network in February 2019. Originally from Tennessee, Brenna graduated from Boston College in 2010 with a B.A. in theology and Spanish. After graduation, she moved to Cleveland as a Jesuit Volunteer and served at The West Side Catholic Center, a multiservice center for people experiencing homelessness. In this role, she started holistic wellness classes such as yoga and creative writing for center patrons. At the end of her JV year, Brenna began working at Saint Martin de Porres, Cleveland’s Cristo Rey High School, as a theology teacher and cross country coach. 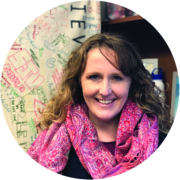 After four of the most joyful and challenging years of her life as a social justice teacher, Brenna transitioned to the role of main office coordinator at the school and focused on not only administrative functions but also developed initiatives to promote joy and self-care for faculty and staff. More importantly, she was the self-proclaimed assistant to the director of facilities in all sustainability initiatives on campus. She is a certified spiritual director and a Cuyahoga County Master Recycler. In her spare time, Brenna enjoys reading, running, bullet journaling, speaking Spanish, writing letters, and digging through trash cans to properly sort recycling. 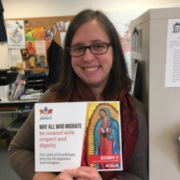 Elizabeth Cross joined the Ignatian Solidarity Network in May 2018. She graduated from John Carroll University with a degree in English. In what seems like a previous life, she had a career with a major cellular service carrier as a customer service and retention manager, where she also had statewide training duties and became a special project coordinator for its market in Puerto Rico. Eager to leave the corporate world after 12 years, she became a full-time mom to her daughter Emily and twins, Joey and Sophie. 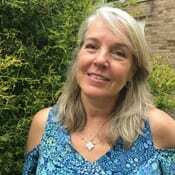 Elizabeth re-entered the workforce some years later as a substitute teacher, a job she loved, particularly at her children’s’ school, St. Francis of Assisi in Gates Mills, Ohio, where she is also an active parishioner. Elizabeth is particularly happy about the papacy of Pope Francis and how he calls for Catholics to respond to the modern day needs of our world community with St Ignatius’ ideals in mind. She feels very fortunate to be part of ISN and finds her small role in supporting the Jesuit mission to be gratifying. She is also grateful for the many blessings she has in life: her family, love of cooking and the outdoors, dogs, and SiriusXM radio. Anna Masica is a student at John Carroll University. She is majoring in marketing and minoring in peace, justice, & human rights and entrepreneurship. She is originally from Wadsworth, Ohio and went to high school at Archbishop Hoban High School. Her main focuses in social justice started in high school when she caught wind of the fair trade movement, and since then, she has taken immersion trips to New Orleans, LA and Guatemala. She participates in weekly service through John Carroll and the Carroll Ballers and is active on campus with the Arrupe scholars program, WJCU campus radio, and campus ministry. Leanne is a student at John Carroll University. She is majoring in biochemistry with a minor in Catholic studies. She is originally from BrookPark, Ohio and graduated from Berea-Midpark High School. On Campus, Leanne is involved in Student Union as vice president of student organizations, in campus ministry as a sacristan and work-study student, Greek life, Students for Social Justice, and the Center for Service and Social Action through weekly service. Her love for social justice, especially in Latin America, began when she went to Honduras on a medical immersion and she hopes to carry that passion through her work at ISN and beyond. Josie is a student at John Carroll University. She is double majoring in education and English with a minor in Spanish. She is originally from Bedford, Ohio and graduated from Walsh Jesuit High School. 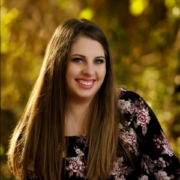 On campus, Josie is involved with campus ministry as a sacristan and participant in various retreats, the honors program, and the Sweet Carolline’s acapella group. Her passion for social justice began in high school after participating in Walsh’s similar Labre program, which involves working with the homeless, and spending time at Bethlehem Farm in West Virginia on an immersion trip. Josie hopes to further cultivate this passion for faith and justice while at ISN. Riley is a student at John Carroll University. She is majoring in psychology with a concentration in neuroscience and minoring in Hispanic studies. Riley is from Columbia Station, Ohio, and attended Saint Joseph Academy High School in Cleveland. On campus, Riley is involved with the Center for Service and Social Action, Greek life, campus ministry, intramural sports, and is an Arrupe Scholar. 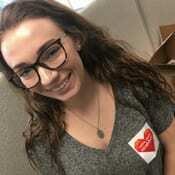 From her time spent as a student leader with Catholic Schools for Peace and Justice and at the Ignatian Family Teach-In for Justice in 2016, Riley has strived to be a compassionate leader for change. Caitlin is a student at John Carroll University. 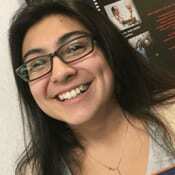 She is majoring in early childhood education with minors in Spanish and peace, justice and human rights. Caitlin is a graduate of Walsh Jesuit High School. She is part of the Arrupe Scholars Program and is active in Greek Life and the Center for Service and Social Action. Caitlin found her passion for social justice through attending the Ignatian Family Teach-In for Justice in high school and through immersion trips to Nicaragua and Ecuador.